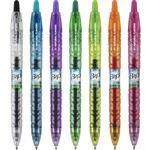 The Pilot VBall Rolling Ball Pen customized with your unique logo will be the giveaway everyone will love to receive. 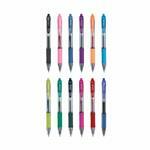 The VBall pen has pure liquid ink technology with a patented liquid ink feed system to guarantee smooth writing and complete use of every drop of ink. 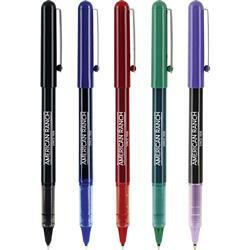 The stainless steel ball writes smooth under light or heavy pressure. The visible ink supply will let you know when you're running low. 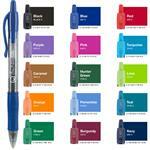 Inquire today to get the Pilot VBall pen for your next event, giveaway, or trade show! Typical Imprint Area(s): 1 1/2" x 3/4"
Ink color matches barrel color.